Privy can automatically sync your contacts over to your Infusionsoft account. After you complete the following steps, anytime a contact of yours signs up for your Privy campaign, they will automatically be imported to your Infusionsoft account. Select the application of your choosing and click on the blue "Allow" button. Congratulations, you've now created your Infusionsoft email sync! Select “Contact” from the “Custom Fields” dropdown and click “Go”. Select “Tab” from the dropdown and click “Add”. Enter “Privy” as the Name and click “Save this Tab”. 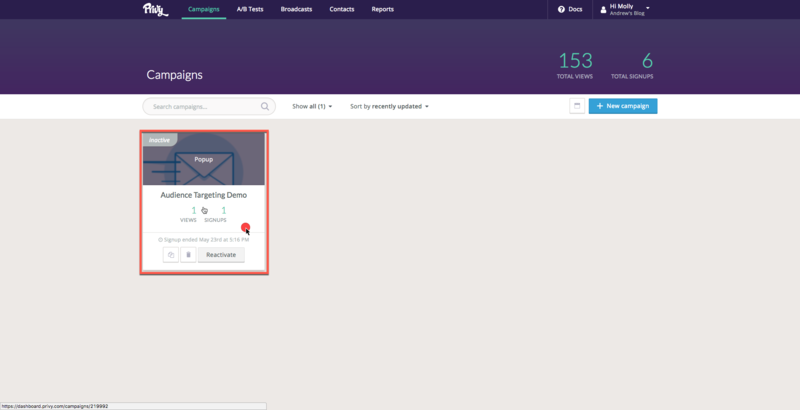 Return to Privy Dashboard and update your campaign Email Sync settings to sync to your Infusionsoft account and list. You must update your Campaign after making the above changes to your Infusionsoft Account. Note: The names for the tab and the header must be set to “Privy”.